Few weeks ago, my wife and I were discussing her experience with her Coach pocket book that she bought few months back. The thread on the shoulder strap started to come off and she was deciding to send it back for repair. My initial thought was this would be amazing if they would bother addressing a single incident. Every time an employee of a company makes a contact with their customers, they need to make sure that it is a pleasant experience. The touch point could provide the firm a lasting experience with the customers. Happy customers have a tendency to go back and do business with your company. On the flip side, angry customers are also an excellent source of customer feedback. The company can take advantage of the opportunity to understand the situation and take care of the issue at hand. There is a saying that negative news travels much faster than good news. 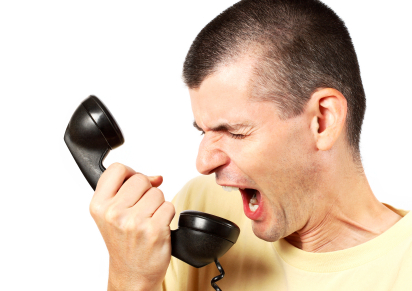 An angry customer is most likely to tell 10 of their friends than when they experience good news. Therefore, the company has a golden opportunity to change an unhappy customer to a happy customer. My point for this blog is that, when we interface with our customers, we always have an opportunity to impress our customer by showing them that we value their business. To that end, we will do whatever is necessary to address their issue. We will take ownership of the issue and see to it that it is addressed in a timely manner. So, the next time you’re at the receiving end of a customer inquiry or complaint, imagine yourself being in the shoes of your customer. Try to understand their concern and work with your team to address their issues and concerns. Remember that a good customer always comes back and does more business with your company. Who knows, as a side benefit, they could provide you with an excellent feedback that can help you advance your career. Next Tired of your job – Is it time to move on?